GLOBALG.M.P.TM (Global Good Manufacturing Practices), a certification scheme by Institute of Good Manufacturing Practices India (IGMPI) sets the Standard or Minimum requirements for a company to ensure the safety and wholesomeness of its food & pharma products. Compliance with GMP requirements necessitates the implementation of minimum sanitary and processing requirements applicable to all food and pharma establishments. Despite the widely available guidelines, codes of practices, certification schemes etc, the food and pharma companies these days are failing to hold their compliance with the respective food laws and regulations. Consequentially, consumers confidence, even with the most popular brands is tarnishing day by day. Keeping in mind the deteriorating conditions of quality and the need for stringent safety practices in the food and pharmaceutical industries, IGMPI has relayed its GLOBALG.M.P.TM Scheme. For the industry today, there is a constant challenge to produce safe, standard products in a responsible way. In an effort to promote safe manufacturing practices in the industry, IGMPI has introduced this GMP-based Certification Scheme. The certification procedure entails independent verification and certification of the basic good manufacturing practices and prerequisites required for an effective Hazard Analysis Critical Control Point (HACCP), which asserts product safety program are in-place and up-to-date. Unlike other certifications, GLOBALG.M.P.TMnot just certifies a facility, but upgrades it to a level, where the products are compatible with all national and international GMP requirements and safety practices. Due consideration is given to the market (the country specific) of the applicant organization. A team of senior certified auditors closely work with the organization for delivering the same. 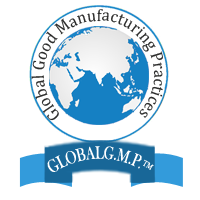 The foundation of GLOBALG.M.P.TM aligns with various international GMP regulations as well as those prevalent in India. Global Good Manufacturing Practice GLOBALG.M.P.TM is developed as a Quality Assurance criteria to ensure that products are produced reliably and compliant to the quality standards appropriate for their intended use and conform to the regulatory requirements stipulated by respective health authorities in the market/region. GLOBALG.M.P.TM is incorporated with aspects from various international quality standards or safety management systems like USFDA CFRs, WHO GMP, Schedule M, Codex General Principles of Hygiene, HACCP, ISO 22000, SQF and ISO 9001 etc. In essence, you need ˜Documented evidencethat you have met both ˜Predetermined specifications and Quality attributes. The GMP code followed under GLOBALG.M.P.TM for example for food Industry encompasses Sanitation procedures, Personnel practices, Equipment maintenance, record keeping & documentation, policies for Compliance, allergen control, and HACCP Validation as the areas under assessment. Further, it includes thorough onsite GMP-audits to assess and enhance the company's food safety management systems and provide suggestions for continuous improvement.The scope of the certification is not just limited to auditing but product testing, thorough inspection and certification of premises, training of personnel, advisory services, quality assurance, risk management, and environmental impact and solutions. GLOBALG.M.P.TMCertification can help every player in the supply chain to meet the highest standards of Quality, Health & Safety and Environmental compliance. IGMPI with its global recognition and national and international expertise endeavors to positively benefit the applicant organizations by enhancing its product level and hence increased customer satisfaction for their products. Our international experts convey their efficient and sustainable input by operating with a rationalized approach towards the manufacturing processes, improving quality and productivity, reduce risk, verifying compliance and succeeding in market. As an entrepreneur, it is necessary to make the working environment as safe as possible by carefully performing risk assessment and incorporating preventive measures. By following and integrating a range of international standards, we ensure that organisations have effective good manufacturing practices in place to ensure a safe production of its products, generate consumer confidence and enhance business reputation. Risk assessment procedures are a must to assess and mitigate all associated risks with your industry. Our specialists identify and quantify specific risks and help make decisions about how to alleviate them in future. This impartial, objective advice and assistance could help you to minimize liability for successful trade transactions.